Weird Al is spinning in his grave! 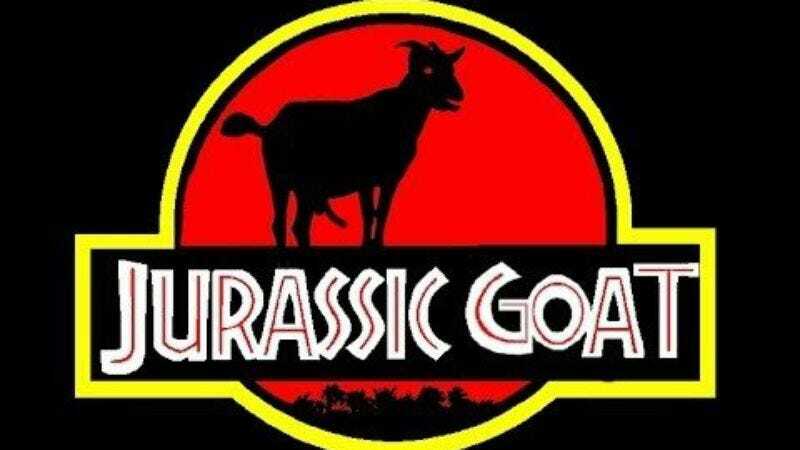 Goats are having a surprisingly big year—there have been multiple video games centered around their shenanigans (including Escape Goat 2 and Goat Simulator) and now they have entered the exclusive club of those bold enough to cover mid-period John Williams. YouTube user Marca Blanca put together this compilation of goats screaming to evoke the majestic sounds of wonder and amazement that Williams intended when he penned his theme for Jurassic Park. For those suffering from post-Canada Day/pre-July 4th hangovers, this horrendous screaming will be a soothing balm (especially as one of the goats sounds suspiciously like Tina Belcher). After enjoying the melodic tones of these creatures, the scene where the T-Rex eats a goat becomes less a precursor to mayhem and more of a welcomed bit of revenge.